Since 2002, the City of Baltimore has worked alongside state and federal regulators to reduce the occurrence of sanitary sewer overflows (SSOs). An original consent decree compelled Baltimore to substantially improve its handling of SSOs by 2016, but technical and financial difficulties necessitated a longer timeline to achieve meaningful results. Pending court approval, a proposed modification of the agreement between the City of Baltimore, the U.S. Environmental Protection Agency (EPA), and the Maryland Department of the Environment (MDE) will give Baltimore stormwater managers 4 more years to eliminate about 83% of the city’s wet weather overflow volume. 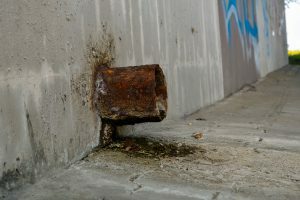 As mandated by the 2002 arrangement, Baltimore already has eliminated its combined sewer lines and most of its structured overflow outfalls, evaluated its sewersheds to help plan rehabilitation measures, optimized and maintained its pumping stations, and paid just over $2.5 million in penalties, according to an MDE statement. establish an annual public forum on the status of work being completed under the consent decree, with opportunities for public comments. Sanitary sewer overflows (SSOs) occur when heavy rainfall outpaces the capacity of aging, blocked, or neglected sewer lines, sending untreated sewage into city streets. A revised consent decree between the City of Baltimore (Md.) and state and federal regulators seeks to mitigate the threats to public health posed by SSOs by 2030. Pixabay/distel2610 (Creative Commons). MDE estimates that the remaining work will cost approximately $2.5 billion to complete by 2021. To help shoulder the burden, the state of Maryland plans to allocate $156 million in low-interest financing to Baltimore City, and $151.7 million to Baltimore County from the state’s Water Quality Revolving Loan Fund program. These loans primarily will support efforts to address a hydraulic restriction at Back River Wastewater Treatment Plant, estimated to cost around $430 million to rectify. MDE also has indicated that it plans to assign an additional $58 million in Bay Restoration Fund grants to Baltimore for projects related to the consent decree. In addition to $977 million already spent by Baltimore City to comply with the 2002 decree, new projects will require about $1.6 billion from the city, according to MDE estimates. Once this spate of projects has been completed, continuous performance monitoring will inform a second set of prescriptions to be completed by December 2030, with the goal of eliminating the chronic threats presented by SSOs in Baltimore.